Strong, but inexpensive fold down step. Spring clip holds step firmly to prevent rattles. Step makes access to roof rack easy. 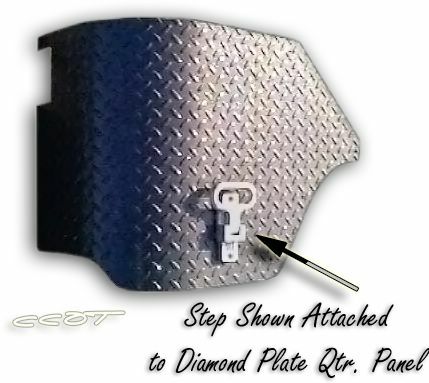 Step is made on non-corrosive alloy. Be creative - step mounts anywhere needed.